We all know the tradition: Halloween is the night when you gleefully stock up on lots of teeth-destroying candy, make an extra-huge batch of popcorn, and stick your favorite horror film into the video machine while listening for trick-or-treaters. In fact, of all of the holidays, Halloween is the closest we come to an official celebration of cinema --and while frequently maligned, there is no more honorable genre to take center stage for that celebration than the horror film. Horror films are not easy to make--it's actually kinda hard to scare people, and even harder to do it in a way that appeals to movie critics. Many horror films have succeeded as cult classics over the decades, in spite of being trashed by reviewers when first released. In preparation for this article, your heroic blogger has decided to re-watch many of the following films, and all of them have held up or even improved over time. What follows is an attempt to list a dozen or so of the most memorable and iconic horror films ever made; this was an arduous task, which involved scouring the many "best of" lists available on the internet, pouring over them and considering each entry in turn. There are, of course, many films on these lists that we here at 4seating had never seen--we wish we could see them all, but fortunately, there were quite a few we have seen, and had a blast re-watching for this occasion. It goes without saying that horror is an excellent genre for a prime home theater setup--especially when accessories like tray tables, wine glass caddies, and bass shakers are installed in the seats--so the idea is to sit back, get comfortable, and find the horror pick that is guaranteed to make your Halloween this year a memorable one. What follows are the first six picks in our reverse countdown, with the final six to follow! 12. 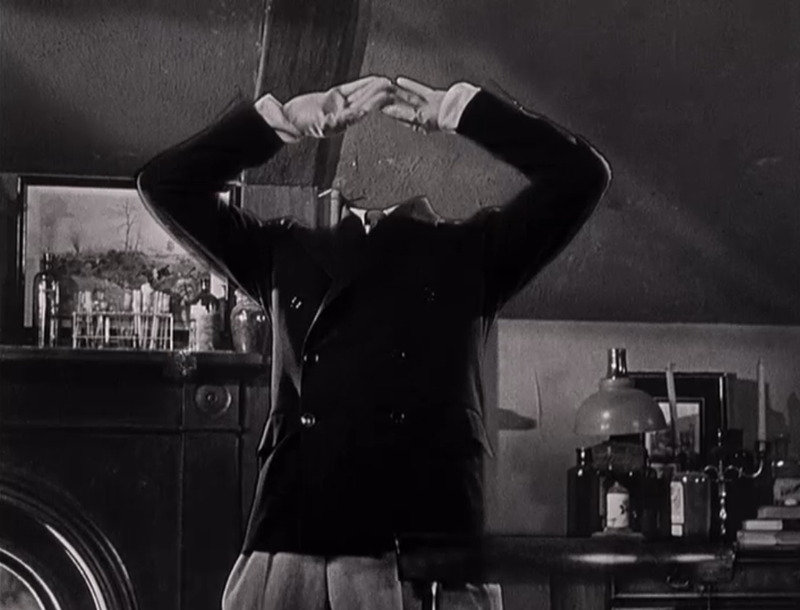 THE INVISIBLE MAN, 1933: there's something about the old monster films of the 1930s that contributes to their creepiness; perhaps it's because shadows look more menacing in black-and-white, and in The Invisible Man these shadows are aided by then-groundbreaking special effects that completely wowed theater audiences of the day. In adapting the HG Wells novel, the filmmakers also wisely focused the plot on its main character's descent from respected scientist to amoral madman, which has an almost Godfather-like aura to it. There are scenes in this film that are still quite chilling some eighty years later, and that's an impressive feat considering how far theater audiences have evolved. This is definitely a film you'll want to see with the lights off and the sound on at full blast, so that Claude Rains' iconic maniacal laugh can be heard in its full glory. 11. NOSFERATU THE VAMPYRE, 1979: Arthouse horror reached its peak with fabled German director Werner Herzog's remake of the 1922 silent film, shot in color with a deliberately slow, methodical pace. This is a vampire film unlike any other (even its original source), where long, meditative scenes build up an overall aura of dread that slowly envelops the viewer over the course of its length. The masterful use of silence is abetted by incredibly lush cinematography and amazing performances by Klaus Kinski and Isabelle Adjani in the main roles. This is not the kind of film you put in if you want a slice-em dice-em horror experience; this is a film whose effect is as hypnotically entrancing as that of the vampire Nosferatu himself. 10. NIGHT OF THE HUNTER, 1955: This is one of those films that not only appears on lists of greatest horror movies, but the greatest films of all time, for any genre. It's also probably the greatest horror film you've never seen, as it has remained a hidden cult classic all these years. David Lynch and the Coen Brothers owe their entire careers to this unsettling, bizarre masterpiece, and Robert Mitchum's performance as your kindly-friendly oh-so-Christian serial killer made the likes of The Silence Of The Lambs possible. Night Of The Hunter also hails from a time when censors wouldn't allow too much blood or gore on-screen, so all of its thrills and chills come entirely from the mastery of direction and acting on the screen. 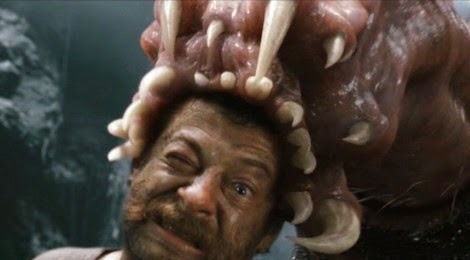 More horror films need to be made like this, now. Scary trivia: the events in this film are based on a true story. 9. 28 DAYS LATER, 2002: By the new millennium it seemed like everything in horror had already been done, when along came 28 Days Later to re-write the rules yet again. The direction, with its seizure-inducing style, enhanced what was then a novel idea for your standard zombie film: what if the zombies in question actually moved fast? When matched with its post-apocalyptic tour of England, the resulting suspense had audiences at the edge of their seat, and paved the way for an avalanche of new zombie films, culminating in the current popularity of The Walking Dead. The DVD came with three alternate endings, each one very different from the next, so if you're watching at home be sure and check 'em out. 8. KING KONG, 2005: The 1933 original is a legendary film classic, and Peter Jackson knew his version had to blow minds, or there wouldn't be any point in a remake. Fresh off of his gargantuan success with the Lord Of The Rings series, he was given an unlimited budget to let his imagination run wild...and what an imagination. The jungle creatures that infest this particular nightmare were unlike anything previously seen in cinema, and will have you squirming at the edge of your seat. 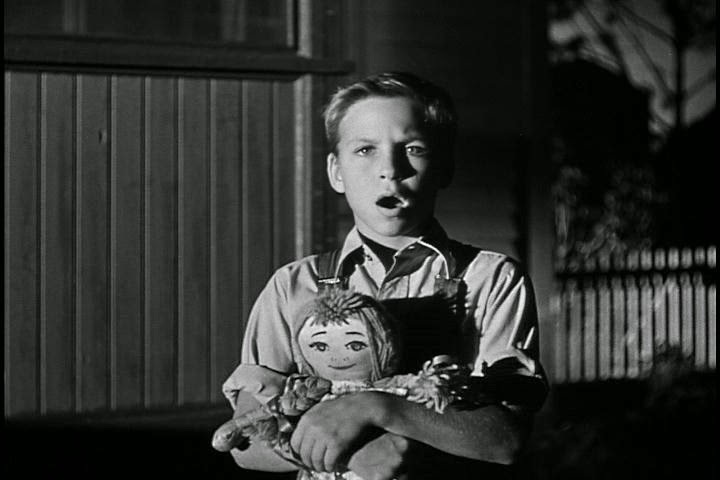 In addition, an extended voodoo sequence with possessed children haunts one long after the film is over. Of course, King Kong is also much more than a fright-fest, and the relationship between the star ape and his love is handled with unusual grace and sensitivity even in the midst of the terror. This is one of the best remakes of all-time. Up next: our top six. Stay tuned!